We are proud to present the Quarterly July Issue! The new issue of Quarterly is now available. 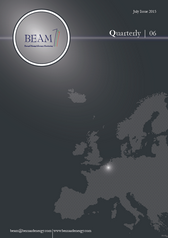 The Quarterly provides an in-depth overview of key EU energy policies relevant to the electricity sector, including a recent developments, a timeline, background information, the position of the different EU institutions and relevant stakeholder positions, from associations such as EURELECTRIC, ENTSO-E or CEER. Some of the main updated topics in this issue of the Quarterly are the latest developments in the Energy Union and the developments towards an agreement on the Juncker Investment Package. In addition, the Quarterly contains a section on the evolution of current energy-relevant case-law at EU level. On behalf of all the BEA&M staff, we thank you for your interest. Enjoy the read!